This situation took place a while ago, but seeing as it’s remained in the forefront of my mind, and seeing as I am over the initial shock, I now feel ready to share its full and hideous glory with the blogosphere. Will it serve as a cautionary tale? Maybe. Will it change the world for the better? Most definitely (just as the rest of my posts do on a daily basis). When it happened, I was too repulsed to write about it; I mean when your baby ends up with a live and unidentifiable bug in his mouth, it’s not something you necessarily want to keep as a permament memory. But you know what? As time passed I’ve had many a good laugh over the whole thing. So, here it is. A few weeks ago, Little N Bomb was sitting on the floor playing with toys. At this point in his wee life he was still pretty stationary. So while he played, I stepped in to the kitchen to battle dishes or something housewifey like that. When I checked on him just a moment later, he had the strangest look on his face (one of puzzlement, verging on disgust), and a stream of drool that gave Niagara Falls a run for its money. I also noticed that he was moving something around in his mouth, and at this point I got a little worried. So I gently pried open his tiny jaw and scooped out a “wild blueberry”? But we didn’t have any blueberries in our house. Upon closer inspection I realized this “blueberry” had eight tiny wriggling legs and a hard shell. Ugh. I opened the front door and tossed it, never having seen the likes of it again. It wasn’t until today, that I actually had the courage to Google this mysterious bug. And despite my best efforts, I couldn’t find an image of it anywhere. 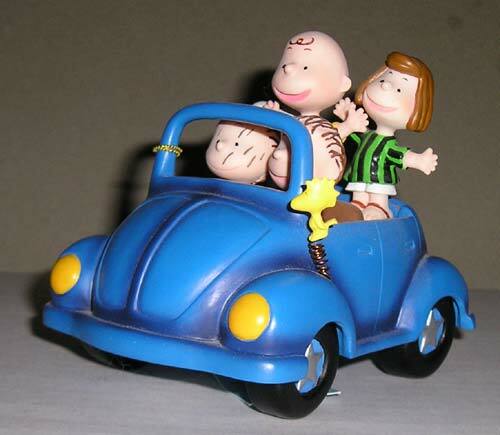 The best pics I could find were of a VW Bug, a wooden spider and a DC comic book character (and obviously none of them are what I found that day). 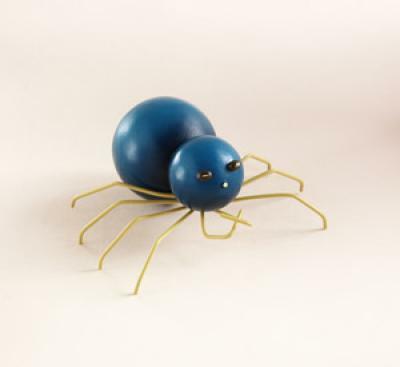 I guess the closest one is the wooden spider, but the one Niko had in his mouth only had one body sphere, not two. 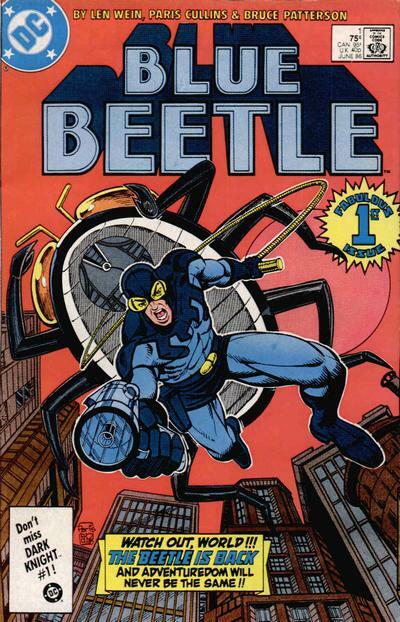 And who knew there was even a comic book character called the Blue Beetle?! Geesh, the things you can learn on this wild and wacky interweb. 2 Responses to "Baby Munches on Mysterious Blue Bug"